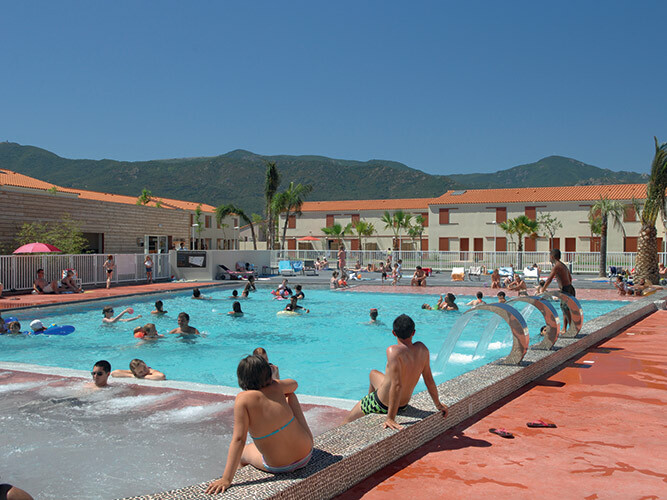 The Residence Les Demeures de la Massane*** has 151 flats and houses situated around the pool. All flats and houses integrate perfectly into the environment thanks to its architecture blending wood and ochrecoloured plaster. A living room with a multimedia TV, access to all terrestrial channels. A living room with a sofa bed (140x200) and a cabin with a trundle bed (2x 80x190). A living room equipped with a sofa bed (140x190) and a bedroom with a double bed (140x190). A living room equipped with a sofa bed (140x200), a bedroom with a double bed (140x200) and a sleeping area with bunk beds (windowless) with or without a sliding door. A living room with a sofa bed (140x200) on the ground floor, a bedroom with a double bed (140x190) on the 1st floor and a sleeping area with bunk beds (80x190). A living room with a sofa bed on the ground floor, on the first floor a bedroom with a double bed (140x200) and a bedroom with 2 twin beds (2x80x190). A living room with a sofa bed on the ground floor, bathroom with toilet and another one separate toilet. On the 1st floor: a bedroom with a double bed (140x200), a second bedroom with 2 twin beds (2x80x190) and a sleeping area with bunk beds and skylight. At the snack, upon booking. Bread, pastries and home made cakes at the snack bar. On site or to take away. Except dishes and kitchen area. To be paid at the end of your stay. 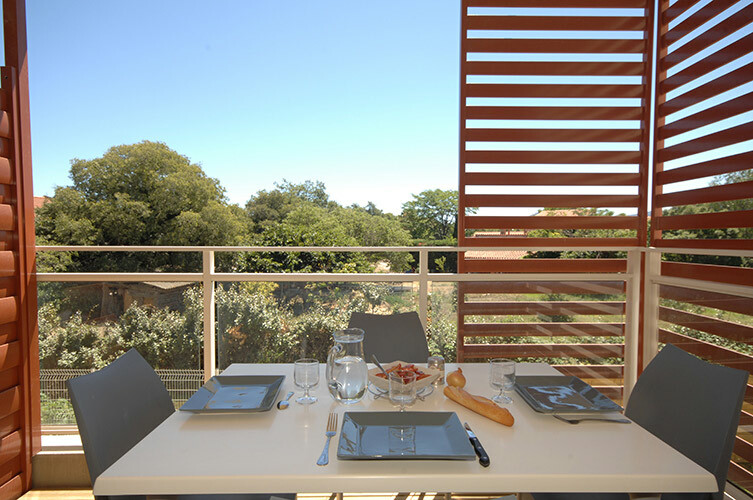 20 minutes from Perpignan, Argelès enjoys an ideal location on the Mediterranean Sea to discover the Côte Vermeille. 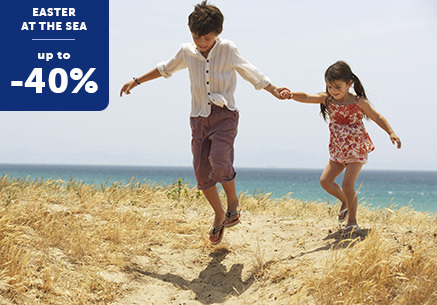 You will enjoy its 7 km of beaches, the proximity of the Pyrenees and the Spanish border. In the Eastern Pyrenees, the beaches are numerous. You will find many water activities to practice: kayak, paddle, diving, windsurfing etc. Nature lovers will be seduced by the tour of the Tour de la Massane. 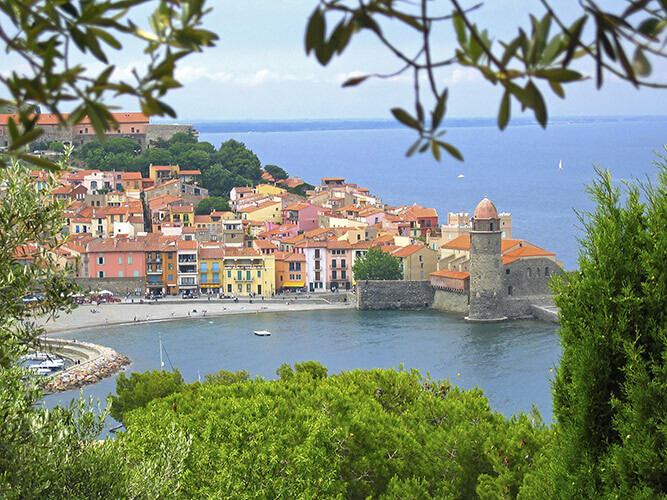 You will not be able to leave Argelès-sur-Mer without having visited Collioure and its beautiful landscapes. 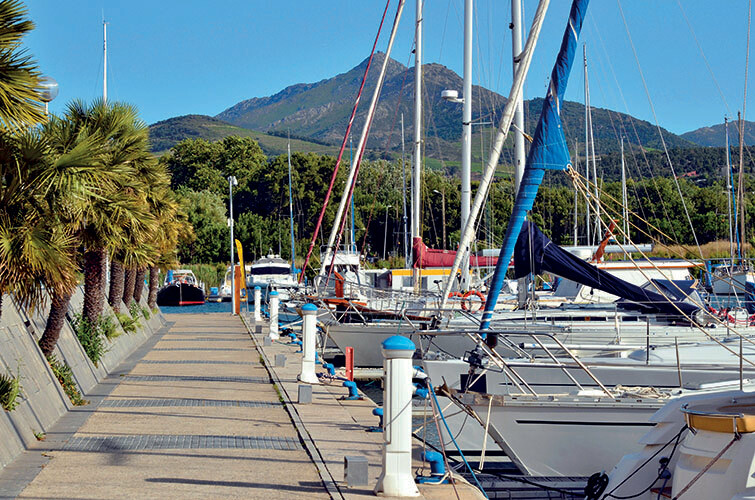 Take an ice cream along the harbor and stroll through the alleys of the Mouré district. 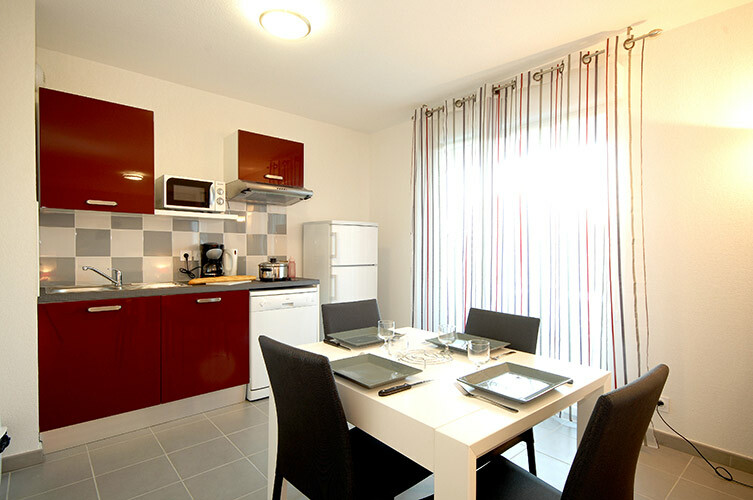 Get there by carFrom Paris: A10 to Orléans then A71 to Clermont-Ferrand and A75. Join A9 at Béziers towards Barcelona. Take exit 42 Perpignan. 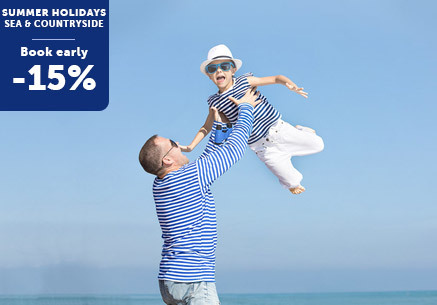 Get there by planePerpignan/Rivesaltes airport, 25 km. 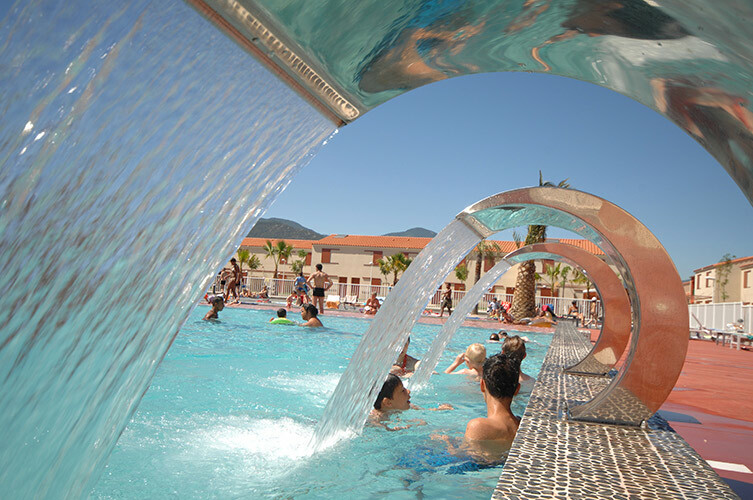 Heated pool in the beginning and at the end of the season (from April 13th), except from mid-June to mid-September, depending on weather conditions.